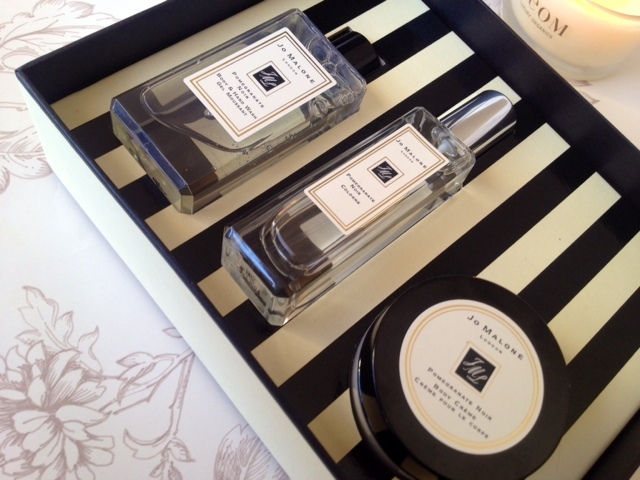 Jo Malone has become one of my favourite perfume houses. Her scents captivate fine ingredients, all mastered together to create exquisite fragrances that can be worn alone or layered together. 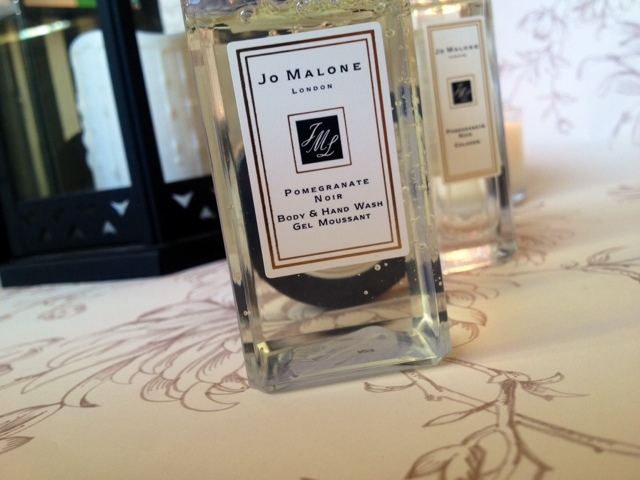 This is the latest addiction to my Jo Malone collection, a gift from my Hubby and a lovely surprise on these grey November days, as you can imagine I was over the moon and have fallen in love with this gorgeous scent. Pomegranate Noir is described as "Ruby-rich juices of pomegranate, raspberry and plum are spiked with pink pepper and laced with Casablanca lily and spicy woods. A dark and enigmatic fragrance." This fragrance screams winter and Christmas time to me. The sweet fruity base notes are warmed up with a spicy almost cinnamon tone making it deep, rich and sensual, think Christmas candles and mulled wine, that warming, sweet and spicy aroma. The body crème lingers all day, giving moisture as well as warmth to the skin. Paired with the cologne and body wash you will be sure to fill the senses of people around you. I absolutely adore this fragrance, not one to wear in spring or summer but definitely one to wear this season while roasting chestnut's, eating mince pies and sipping on mulled wine, this to me is Christmas in a bottle! If you haven't smelt this perfume yet I urge you to give it a sniff next time you're at a Jo Malone counter! If the scents not right for you, it would make a wonderful Christmas gift for someone special. 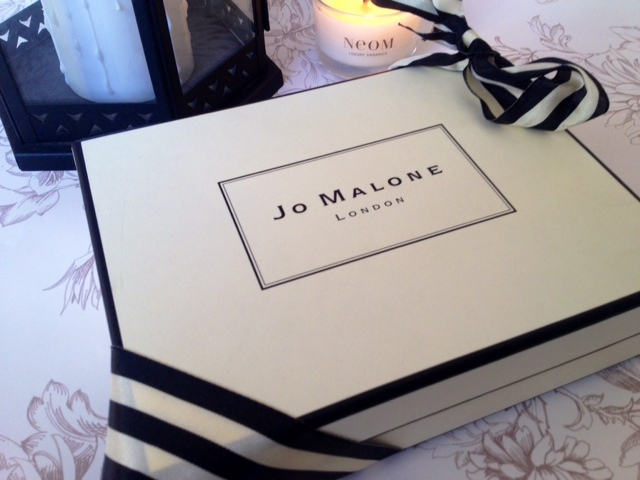 The set comes beautifully gift wrapped in a cream and black box, the signature colours of Jo Malone and finished off with a matching stripped ribbon. What's your Christmas/Winter scent? Do you go deeper and spicy to capture the Christmas spirt or do you keep it fresh and cooling like those winter mornings? pssst.... have you entered my GIVEAWAY to win a Tarte Amazonian Clay Blush? I just can't get on with this fragrance :( I want to love it but to me all I pick up is pine which I don't really like. My winter fragrance this year is definitely going to be from Jo Malone tho-from the Sugar and Spice collection I have saved the Ginger Biscuit and the Dark Chocolate and Orange for Xmas-roll on 1st December when I will be cracking those babies open!